The Deep Peace Trust's Farm Animal Sanctuary was founded over 20 years ago by us, Billie Dean and Andrew Einspruch. Because we have a heart for animals! It's situated in southerm NSW Australia, and is currently home to over 460 formerly at-risk animals who had nowhere else to go. They faced culling, euthanasia, slaughter, neglect, homelessness, or other trauma. The sanctuary provides both healing and hospice to those in need. It's also home to hundreds of wildlife, who find refuge and safety in this place of peace. 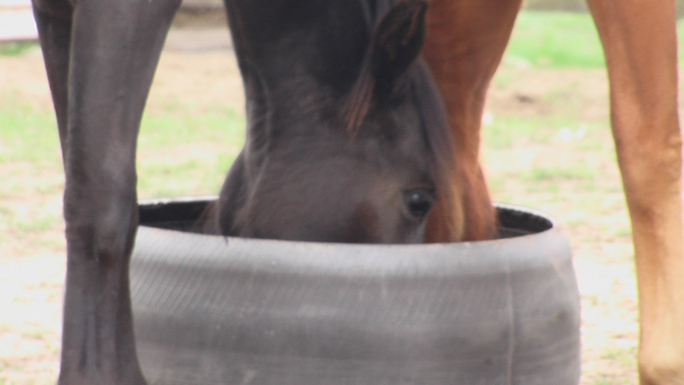 Totem (that's him below when we first took him in) arrived as a tiny motherless kid. He soon settled in front of the warm fire with the cats and dogs. Venus, Neptune, and Totem are some of the lucky 460 safe animals at the sanctuary, including 260 sheep and 90 cows, who will never see a slaughterhouse truck or a live export ship. But today they need your help. Bessie the cow was pregnant when she arrived (like so many others), and she and her calf Blessed both nearly died during calving. But with care, Bessie and Blessed bonded and thrived. Blessed and other calves at the sanctuary will stay with their mums forever, living in their natural family and social systems. Let's get them a bale of hay for breakfast and dinner.. every day! Above: Bessie and Blessed will spend their lives together in peace. The sanctuary is just one aspect of the work done by the Billie Dean Deep Peace Trust, a social change charity advocating a gentle world of peace for all beings through the arts, education, and compassionate action. 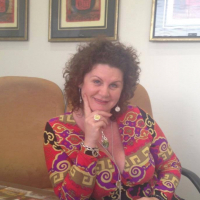 The charity specialises in books, on-line classes and live events teaching ancient wisdoms and a deeper understanding of the human, animal and nature connection for impact through insight. Today, the sanctuary faces its greatest challenge ever— a second straight year of widespread drought. 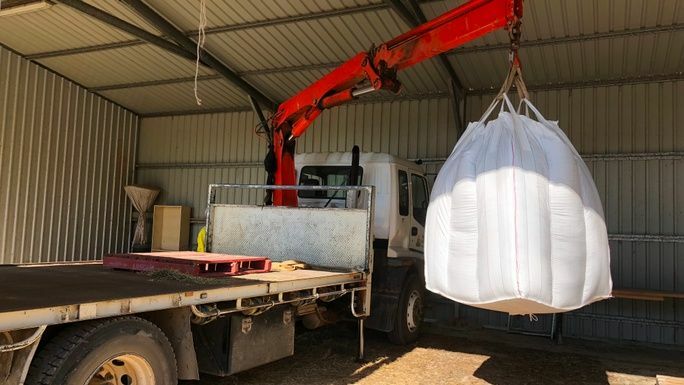 While the cows, sheep, horses, geese and goats are all still healthy and happy, the paddocks are dust and feed prices are skyrocketing. We've been fully drought-feeding without relief for over a year and we cart water daily to fill troughs and buckets. There's no government assistance, and to date, we've been funding it mostly ourselves. Farmers all around us are drought-selling their animals, but we will continue to be a safe haven. Every soul in our sanctuary is considered family —not sellable commodities. Their life is precious. Above: this dry creekbed is the sole source of water for much of the sanctuary. Below: carting water one tank at a time, so animals have enough to drink. But now, we need wider community help. 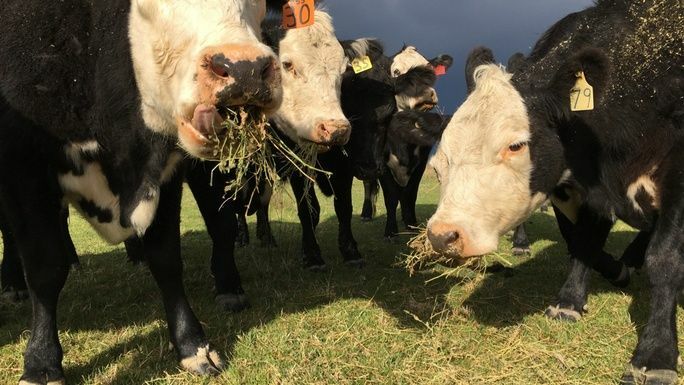 To go through yet another winter without grass, at a time when hay is in high demand and shortages are threatened, means we urgently need more funds to secure the hay and fodder needed to keep the sanctuary animals, including the wildlife, happy and healthy. Even the wombats love hay! Animals like Totem the goat, lamb Buttons and his mum Trudie,(below) and cows Bessie and Blessed need your help. Can you buy them a bale of hay? 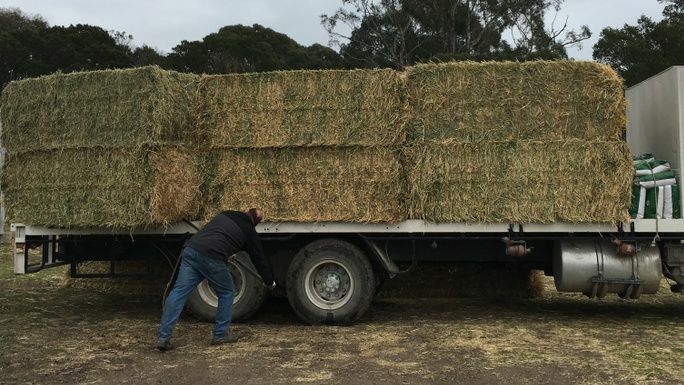 Could you contribute to a truckload of hay to ensure they have food for the even tougher months of deep winter ? Can you help us keep this sacred sanctuary going? 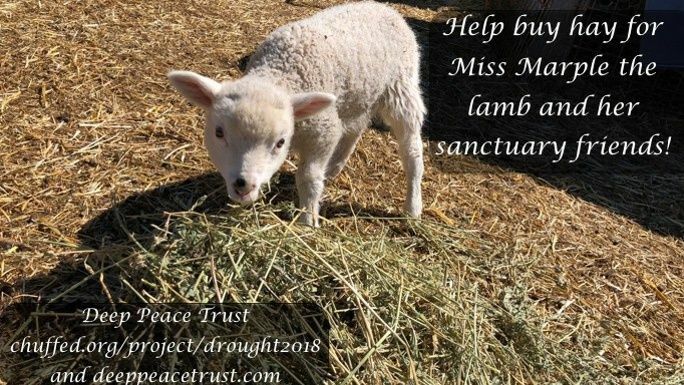 If you can donate and share, and maybe even join our growing team, that would be incredible, and we, and the animals of this place of peace, thank you! You probably agree we need a lot more heart in this world and a lot less violence. Supporting a social change sanctuary like this one, says that you want a kinder, more benevolent world where animals are respected for the unique beings they are. Your actions ripple out into the world! ! Thank you! Thank you for supporting the animals! Your choice to help makes a direct difference to their lives. Without their natural grazing, the animals are completely dependant on us humans. We're looking to raise $45,000 to cover us for the next few months. The cost of drought-feeding 460 large animals is exorbitant but well worth it. Because life is precious. 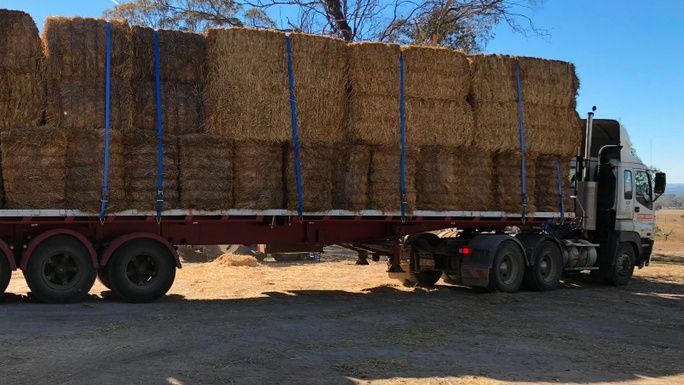 The pic below is part of the truckload of hay we buy every week. So thank you, thank you, thank you for having a heart for animals, and helping the animals through the drought! Below is a rare pic of us—Andrew and Billie, and our daughter, Tamsin—who run the Deep Peace Farm Animal Sanctuary. We and all the animals thank you for your support! Who Do You Know Who Loves Animals Like You Do? An effort like this is definitely a more-the-merrier kind of thing. Just think how much more we can do with more people helping out to help the animals. So form a team and fundraise for the animals as a group. It's more fun that way. Just click the Create Your Own in the Fundraising section down below, toss in a few details, and you're be on your way to success. If you do set up a team, one of us will happily to talk to you or yours about clever ways you can work together to help the animals survive this drought. The Deep Peace Trust and this campaign are supported by some awesome people and organisations.